Technology companies deal with a lot of confidential data, including intellectual property and sensitive corporate or customer data. And when it comes to securing that data, they put not only their reputation on the line, but also their entire business. They also have to ensure ongoing system availability to maintain productivity and deliver high-quality service for their customers. How can you clean up Active Directory and reduce the risk of account or privilege misuse? How can you ensure accountability of privileged users in your environment? 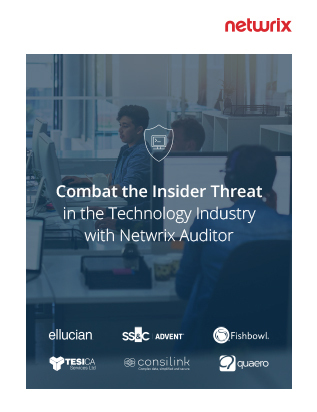 How can you identify insider and external threats to sensitive customer information, corporate data and your intellectual property? How can you cut time and effort required to prepare for and pass various compliance audits?